This level is one of hardest level and might waste lot of lives. This level have 12 meringue blocks plus some black blockers that will appear randomly. You have just 33 moves and you need to take down 8 ingredients that will appear one by one that is much hard. 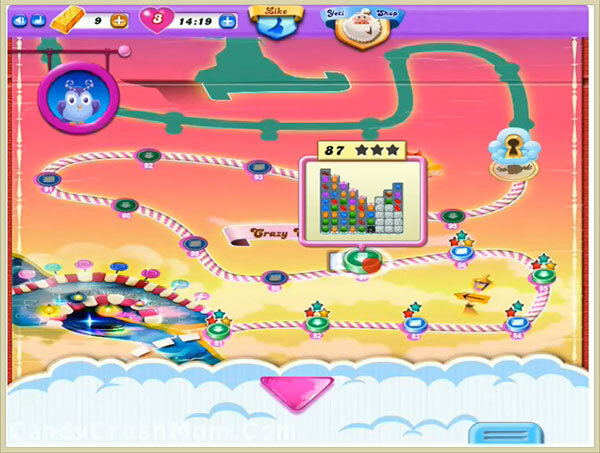 To complete this level make sure to make lot of special candies like colorbomb and striped candy plus try to combine each other. You might need to use booster if you have less moves remaining. You shouldn’t waste any move and try to play more with right bottom part of the board. We completed this level with 246180 score within 29 moves by using five colorbomb plus hand tool for last ingredients and got three star score.